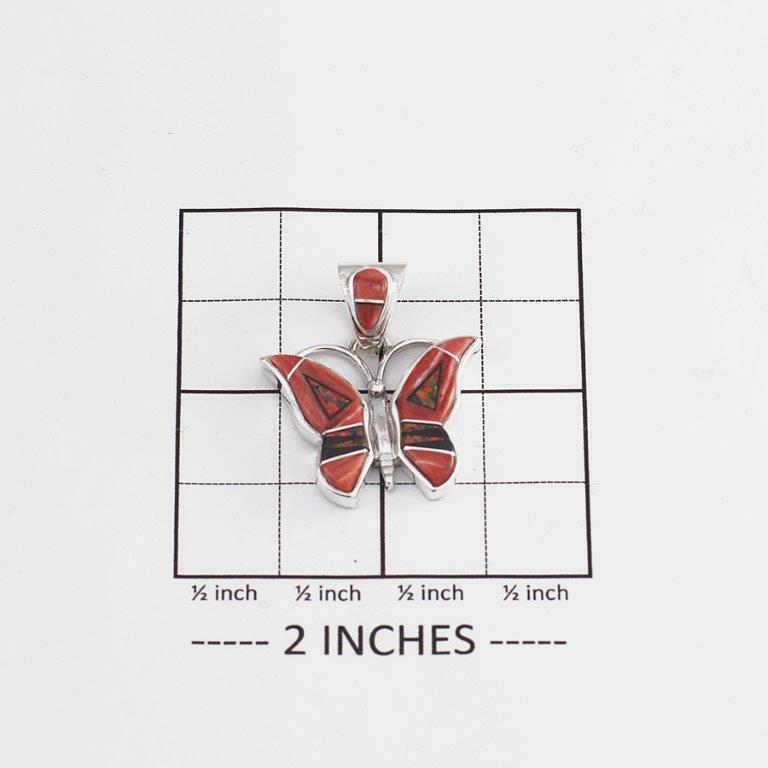 Calvin Begay’s popular butterfly pendant takes a twist in this striking combination of red and black. The reddish tones of spiny oyster are accented with the reddest of the lab opals and hints of black onyx. A sweet size to wear around your neck! Measures 1″ by 1 1/8″. Hallmarked “Calvin Begay” and “Sterling”. Weighs 8.8 grams. 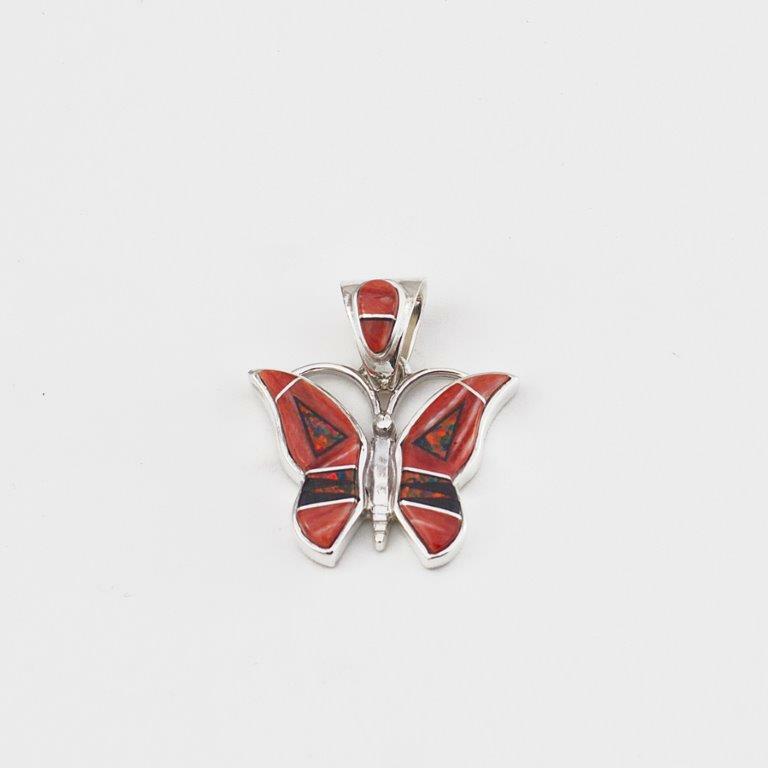 Calvin Begay Spiny Oyster Butterfly Pendant boasts warm red tones with black onyx and sparkles of opal in sterling. Designed by world famous Navajo artist.